This is a great time to talk to students about figurative language, most specifically hyperboles. 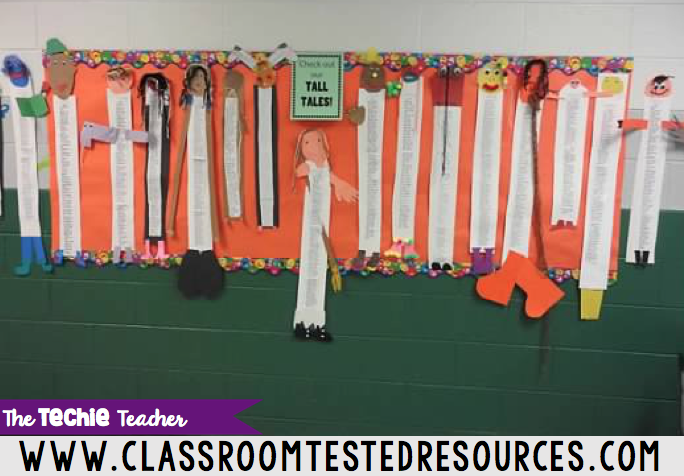 Layers of Learning had their students write out their tall tales using the templates they created HERE. 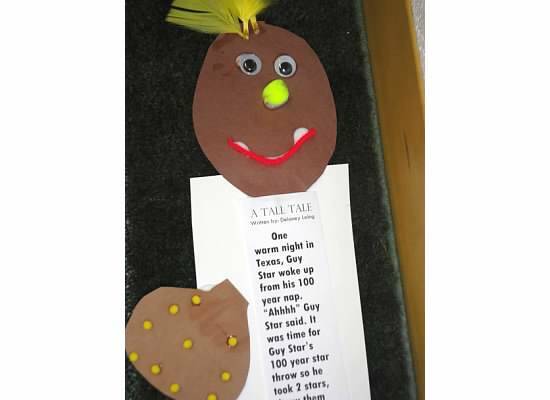 I like to have my students TYPE their stories after they have written their rough drafts and edited. 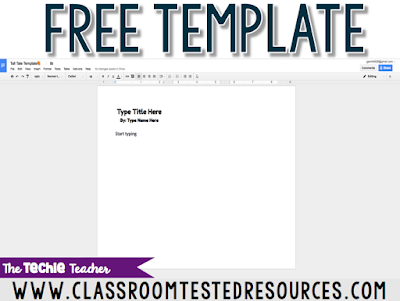 To do this I simply give my students a Google Doc or Word Doc template that is split into three columns. Click the image below for the Google Doc template (if you would like a template in Word, click the image below and go to File>Download As>Microsoft Word). I really love Google Drive for writing activities for a variety of reasons. You can read all about them HERE and HERE. 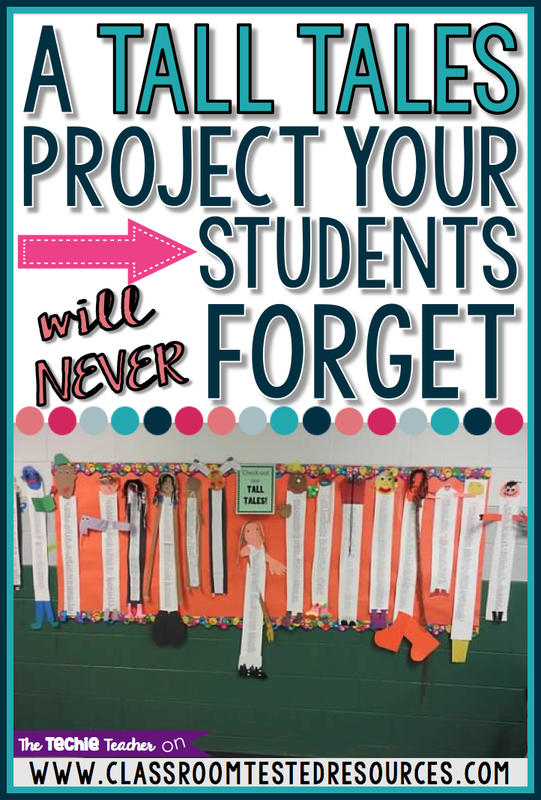 Tell your students to just keep typing and the "magical" doc will place their words in the columns automatically (even if they have to go to the next page). They do not need to play with the formatting! 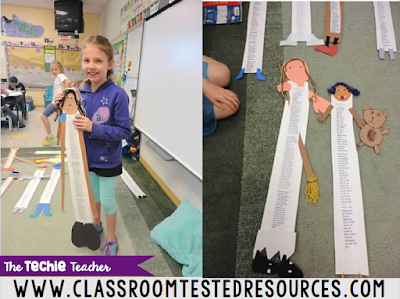 Once they have typed their story, have them print, cut their story into strips, put their story in order and tape together into one long vertical strip. 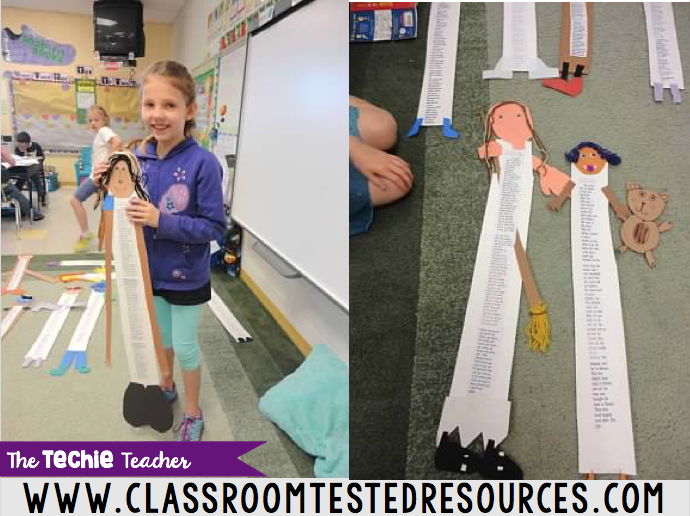 The fun part begins when students transform their vertical strip (the body) into a visual representation of the main character in their tall tale. 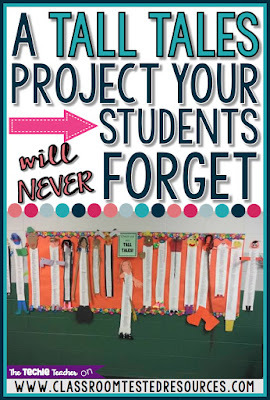 I just lay out construction paper, pom-poms, felt, string, feather, googlie eyes and whatever else is in the craft junk draw and let the students CREATE, CREATE, CREATE. They can add a head, arms, hands, legs, feet/shoes and accessories! 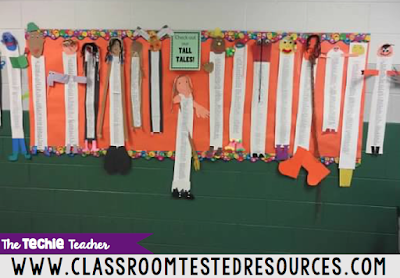 What are some other ways we can have fun with tall tales in the classroom?